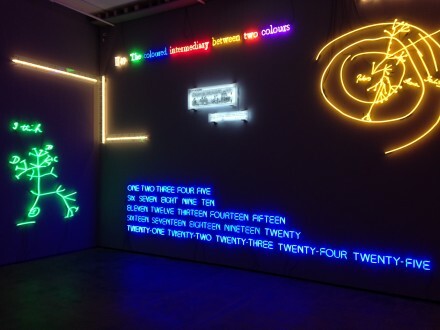 A preeminent member of the pioneering group of conceptual practitioners that sought to dissolve art making from declarations of objective emotion or feeling, Joseph Kosuth remains a marker stone for the reach and potential for Conceptual Art, still using his work to scrutinize the limits and definitions of contextual meaning, often removed from primarily aesthetic concerns, at age 70. 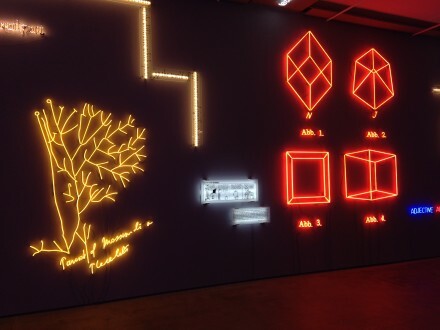 Agnosia, an Illuminated Ontology strikes the viewer as a large-scale installation orchestrated by Kosuth at Sean Kelly Gallery, where the artist, who splits his time between New York and London, is showing his first exhibition since 2011. 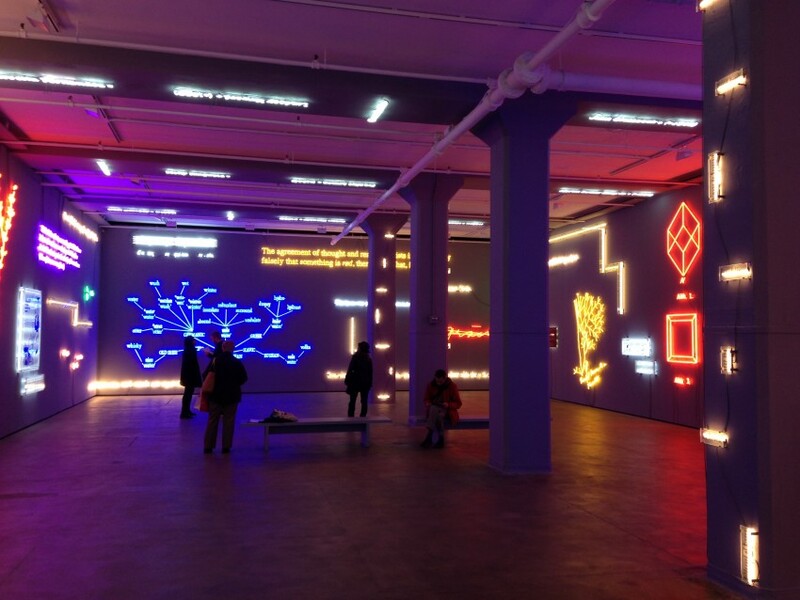 Benefiting from the gallery’s warehouse-like architecture, Kosuth has compiled an arrangement that feels like something of a recent career retrospective, especially considering broadness of the exhibition’s timeframe and focus. Woven together in a non-chronological structure, various threads that have defined Kosuth’s ambitious career over the decades consolidate into brief, yet condensed narratives on Conceptualism and text-based art works, with ample crossover and shared interests throughout. Now accepted in a wide variety of practices today, including heavy emphasis in the work of artists such as Tracey Emin and Cerith Wyn Evans, the neon texts that Kosuth started to produce in the 1960’s blanket Sean Kelly’s towering gallery walls, while expanding to less traditional surfaces such as columns and the ceiling. Hung in a manner reminiscing the Salon style, texts in various sizes and colors deliver a stream of visual and contextual profusion, often allowing meanings and interpretations to spring forth from sudden shared encounters or shared readings of adjacent works. 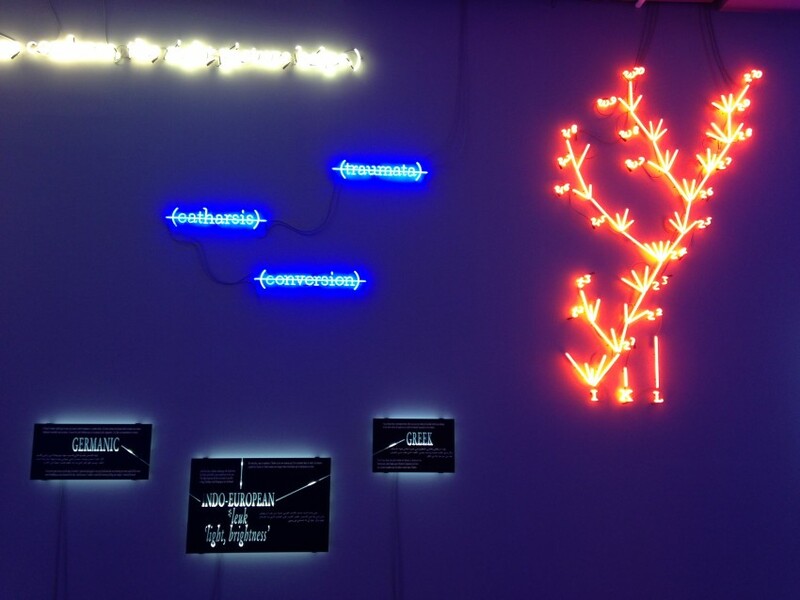 Such abundance of hue and expression form a lucid unity that promotes Kosuth’s effort to grasp and materialize language and its more concrete vessel, text. 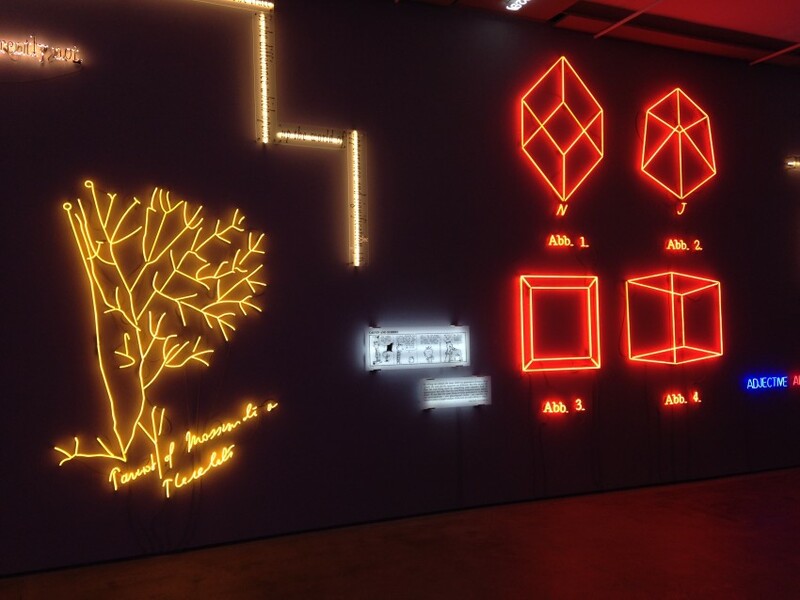 Looking at an expansive source material, Kosuth mines the depths of Western canon, from literature to philosophy, comics to charts, and encapsulates principal components from each as they are stripped from their original contexts. 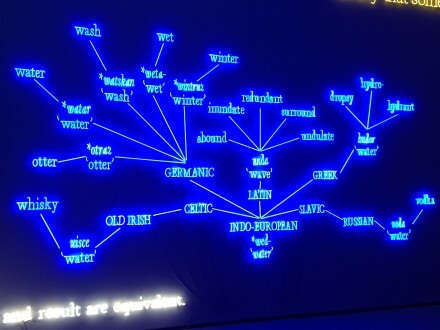 Contemplating on the efficiency of language to reflect human reasoning and subconsciousness, Kosuth employs Sigmund Freud’s writing as a major source of inspiration. 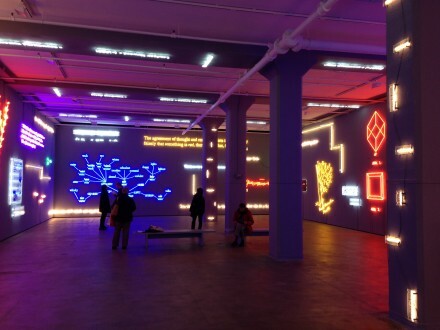 Pondering the Austrian psychoanalyst’s remarks on the involuntary processing of the mind, played off against its comprehensive articulation, Kosuth has included his 1988 piece A Conditioning of Consciousness, which is a neon version of scientific notes Freud loosely penned during his research. 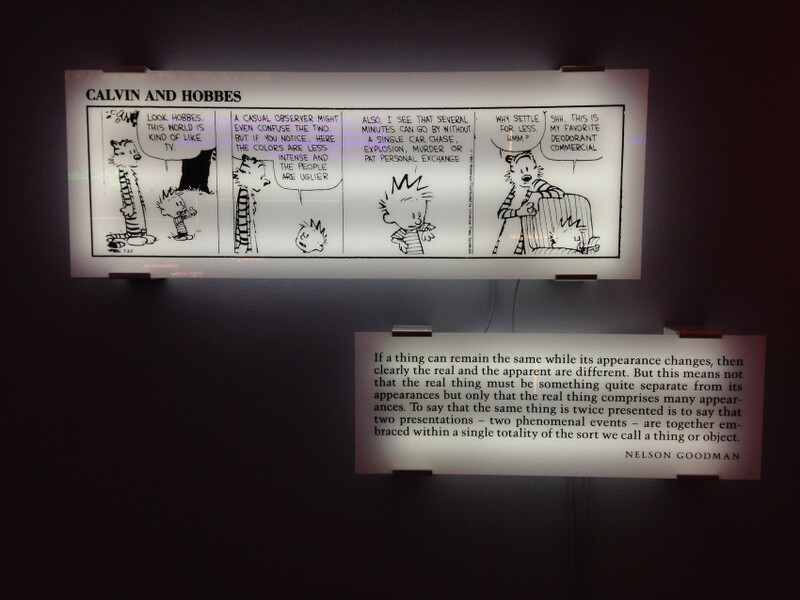 In the Double Reading series Kosuth shifts his interest to the human urge to deduce based on given textual data, allowing writing by Nelson Goodman to work in tandem with a whimsical drawing from the Calvin and Hobbes comic series. Pairing quotes from illustrious authors like Roland Barthes, Michel Foucault and Goodman with these excerpts from printed daily media, Kosuth complicates the given inclination to speculate on links between two separate notions when presented jointly. In the heart of this problematic and inherently dysfunctional conciliation lies the essence of Kosuth’s art: dictating the impact of language, and imposing the nature of text on the work becomes each assemblage’s most sturdy foundation. 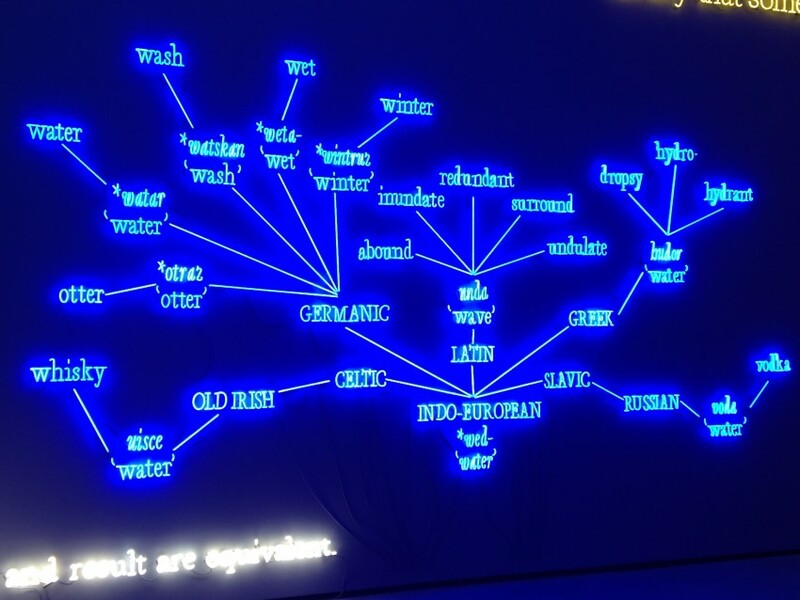 Joseph Kosuth: Agnosia, an Illuminated Ontology is on view at Sean Kelly through December 19, 2015. This entry was posted on Thursday, December 17th, 2015 at 12:00 am	and is filed under Art News, Featured Post, Show. You can follow any responses to this entry through the RSS 2.0 feed. You can leave a response, or trackback from your own site.